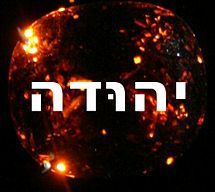 Uri (Hebrew: אורי, ʼŪrī; "Name means::fiery") (ca. Born::2355 AM–Died::2453 AM) was the son of Hur and father of Bezaleel of the tribe of Judah. The Bible gives no definite clue to Uri's date of birth. His son Bezaleel was the master craftsman of the Tabernacle and therefore was probably about thirty years old in the year of the Exodus of Israel. So he was probably born in 2483 AM, while Hur was born in 2428 AM. Thus two generations spanned 55 years. This page was last modified on 2 April 2013, at 15:22.